About me I'm a follower of theinnercircletrader(.com) (aka ICT). 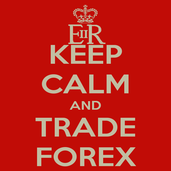 You will only see time and price theory based setups, focussing on Forex pairs, mainly EURUSD and GBPUSD. If you don't understand the vocabulary I use, watch the video's on his website.